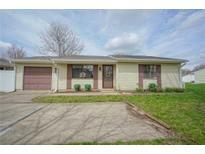 Below you can view all the condos for sale in the Sherman Oaks subdivision located in Indianapolis Indiana. Listings in Sherman Oaks are updated daily from data we receive from the Indianapolis multiple listing service. To learn more about any of these condos or to receive custom notifications when a new property is listed for sale in Sherman Oaks, give us a call at 317-489-9165. Detached end unit MLS#21633587. HSI Commercial Group Inc.
Water/Sewer and Exterior maintenance included in HOA fee. MLS#21632040. Trueblood Real Estate. Deep one car garage for storage options. MLS#21630579. F.C. Tucker Company. 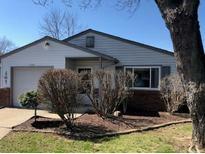 Perfect location in Perry Township, near shopping, dining & so much more! MLS#21630679. DAVID BRENTON'S TEAM. Big Back Yard all Fenced in MLS#21627877. Realty HD.